Coppee Hall “Maker Hours” start Sept. 19, 2-4 p.m.
As promised, we are launching Coppee Hall Maker Hours this semester from 2-4 pm every Friday on the third floor of Coppee Hall. What are Maker Hours? Google the term and you’ll see it’s a reserved time to work on something new or different than what is required. It is rooted in the tradition of tech companies that want to give their employees time to play, improve themselves, or envision new products and services. Gmail, which many of us know and love, started because a Google employee used their maker hours time (known as 20% Time at the company) to reimagine email. Here at Lehigh we want to continue that tradition and foster a creative playspace. Bring something digital you want to work on (your web site, an info graphic or video for a story, etc.) or come and suggest something we can learn together on the spot. We’ll all be working on doing and learning different things. I am going to use the time too by learning more about how to code. It’s a wide open time driven by you and facilitated by Prof. Veto and I (as well as any other faculty who want to drop in). You don’t need to have a certain entry level knowledge. Just show up wanting to grow yourself and your skills, and we’ll figure out something together. So starting this coming Friday, Sept. 19, we will be doing this every week. We have computers upstairs, but bringing your laptop is great too. If you can’t make it every week, come when you can. And spread the word. We are hoping this will be a fun time to learn outside of class structures and totally driven by you. If you have any questions, please let me know. Also, if you are planning to come just drop a note or tweet at me (@jeremylittau) so we can plan how to use the space well. So Apple finally unveiled their watch, officially making it the worst-kept secret in tech journalism. Gut reaction: This feels like a device that will serve a niche quite well but won’t be an explosive hit like the previous iDevices before it. This is based on a mix of unanswered questions and snap impressions. We know nothing about battery life. Apple reps went out of their way to dodge the question. Being able to hold a charge for a full day is a bare minimum requirement. The price point (starting at $350) feels way off. I felt, as a non-watch wearer, I’d look at it if it was around $200. I felt like $250 was pushing it. But the cheapest model at $350? That’s a lot to ask for a product category I’ve been out of since I was in high school. iPods remade a really terrible digital music player sector. iPhone revolutionized mobile devices. iPads basically replaced a whole product category (netbooks and low-end laptops). I don’t see how AW does any of that for current watch wearers. It has a lot of things fitness bands have now. How did it overwhelmingly improve the product category? The phone integration is my biggest issue. I expected it to have to connect to a smartphone, but it seems like a terrible idea to not only limit it to iPhones but also iPhones released in the past year. From a lock-in standpoint, sure this makes sense. But iPhone adoption is in the 40% range, which means you’ve already cut your potential buying public by more than half. I didn’t see anything that makes Group 3 want to go all in from $0 to $350 in no time flat. Persuading them to shell out $350 for a product they’ve never seen a need for is a hard sell. Group 2, they’ll have to be persuaded to go from smaller use to bigger use. Were the features there? Group 1 feels like the natural audience for this device, and that is a small niche. Throw in that it doesn’t work to the fullest for people in this group who have an Android phone, and that’s a problem. Perhaps Apple will revolutionize wearables but not in the way it intended. It’ll show that doing things quality might be overrated compared to doing a bunch of little gadgets that are cheaper and do less. Fashion can be an incredibly niched area anyhow; perhaps our tech versions aren’t going to be much different. Like I said, time will tell (*rimshot*). The watch is beautiful. I’d love to have one on my wrist. But not at that price, not even close. Engadget published a good read today about the tough challenge facing tech companies chasing wearable fashion. The thrust, which I completely agree with, is that getting the tech right is only half the challenge. When dealing with something whose form is based on style and taste, that’s a harder nut to crack and you’re never going to have the product that pleases everyone. The pending iWatch announcement is instructive. People are saying Apple usually does sleek and cool right, so they have the best chance to finally produce a wearable people want in big numbers. I think these sentiments are generally correct in that Apple takes great care with design compared to other tech companies that do hardware, but if they’re expecting whatever (probably) will be unveiled this week to do the trick, I’m skeptical and am having a hard time getting excited about it. The tech is the easy part if you are thinking about it as a gadget. But if you’re thinking about it as a fashion accessory, this is going to take time. Google’s struggles with making Glass culturally cool are worth a look here. They’ve introduced frames to make the device seem less clunky (and they do look much better in the wild!) but even 10 to 15 choices isn’t nearly enough. With iPod or iPhone, they’ve really only had 2-3 different models to choose from. Fashion is something different in that there’s a difference between a brand category people want to have and then the specific thing they buy. For example, people buy the label with designer handbags or shoes, but they don’t really want to have the same thing as everyone else. Apple certainly had a winner with the iPod when it came to the convergence of tech and fashion; it became a must-have for those who wanted to look cool. But you have to remember that MP3 players before were nerdy and ugly. Apple didn’t just design a beautiful device; they were the first to design a beautiful device in a sector that was known for being awful. As the iPhone has evolved, how do people put their own stamp on it? With a case that suits their personality. People want the brand, but they also want to be different. Watches aren’t really that. We’ve seen our share of ugly smartwatches, but beautiful watches as a fashion accessory have been around for hundreds of years. People already have some sense of what is gorgeous or fashionable. And that’s the problem. Apple isn’t just trying to become a leader in a tech category, it’s trying to compete with traditional players as well. They have to convince non-watch wearers to don one without looking like an Applebot (same watch as everyone else) and convince watch wearers that this digital kind is better – all while getting the price point right. If this was purely about the device itself, a tech company would solve a software problem like that by making software that is more customizable, but this isn’t a software problem. So how can Apple design an iWatch that is designer in label but has enough variety that people feel like they’re getting their version of it? Everyone’s tastes differ even if there are only a handful of brands people want. These are questions you ask when you’re talking about fashion, not technology. Will the groundwork be laid for this in the device that launches Tuesday, or are they going to get the tech right first and then worry about the fashion later? Now there may be a trump card in that whatever they are working on is so incredibly useful that it’ll be like the iPod – so useful that nobody cares if theirs looks like everyone else’s. But then we’re talking about a gadget, and not a fashion accessory. If the reports are true that Apple wants to be a big player in the fashion world, that’s the real stuff to watch for when Tim Cook takes the stage on Tuesday. Whatever Apple unveils on Tuesday, I’m looking less at the tech and more about the individual design and customizability. There’s a reason they’re still hiring fashion designers even as this thing is ready to launch. I’ll be looking for ways the device allows other companies that want to make custom straps and other fashion-oriented accessories to customize the watch, a fashion version of their SDK. That’s the only way this goes from being a gadget to a fashion accessories. We’re going to need a lot of this – 5 iPod colors won’t do this time. If I had to predict something (and I admit I’m Jon Snow on this one), it’s that whatever Apple launches is aimed at people who are dying for a tech-centered watch. It’ll have some cool design factor, but each device will be largely the same like the iPod, iPhone and iPad before it. The real fashion customization will come in later versions as it chases the fashion crowd with already-established tech. That’s why they’re still hiring designers. It’s the long game for Apple. By now most of us know the news about what happened in Ferguson, MO last night. And if you’re a journalist, you probably heard about the arrest of two reporters: Pulitzer Prize winner Wesley Lowery of the Washington Post and Ryan Reilly of the Huffington Post. Most of these statements have something in common. They defend the rights of the professional press quite well but don’t mention citizen journalists. ASNE’s statement gets the closest when talking about the public’s First Amendment rights being the same as those of journalists, but the reaction from the professionals doesn’t go far enough to acknowledge the critical role citizens play in news gathering in 2014. The citizen aspect matters. Ferguson police tried (illegally) to stop citizens from filming and taking photos from the scene last night. These were everyday people documenting an ongoing crisis for those of us watching on social media. As the police were arresting professional reporters, citizens were our ongoing eyes and ears. At one point, the only live feed we had was from a citizen’s camera. And then there’s Antonio French, who has been a star in the days since Michael Brown’s tragic shooting. These citizens have played a vital role in telling Brown’s story, uncovering untold details or standing in for media facing restricted access. I get it. Professional organizations serve professional members. But nowadays, even the pros rely on citizens for tweets, Instagrams, Vines and other information that go into building the news. We should acknowledge their value by standing up for them and providing them cover. We can’t afford to define journalism too narrowly now, and we can’t abandon them once we’ve used them for their content. Professionals enjoy the support of editors and corporate lawyers, but these brave citizens have no such benefit. Their rights are ours. Let’s advocate as fiercely for them as we do ourselves. UPDATE: The president of AEJMC, the main journalism education organization in my field, came out with a statement similar to those above. I am particularly disappointed by this one because AEJMC is a big-tent organization that brings together scholarship from all areas of journalism, broadly defined, including professional and participatory forms of journalism. That we’re still thinking about journalism in terms of career and jobs makes me sad. These citizens deserve our support. I’m participating in J-Prof Summer School and am blogging about each week in the curriculum. Read about it for some background. There also is a companion Facebook group for those participating. I came into this week fairly familiar with the concept of Reddit, so most of the how-to material was review for me. I’ve been a classic lurker on the site, basically looking at the front page and clicking on links. I have found it is an interesting type of news front page, reader-curated rather than something subject to journalistic gatekeeping. This week I decided to take the assignment to look at Reddit every day and twist it a bit. Rather than merely look, I committed to commenting or posting something at least once a day. I have yet to post anything, but I’ve left anywhere from 4-7 comments on various threads every day. In addition, I did something I’ve neglected to do in the past – subscribe to subreddits on topics that interest me. I have found that even in a week my Reddit experience changed dramatically for the better and I am loving it. I still looked at the front page, but I found myself checking my 10 subreddts (wide-ranging interests from r/sfgiants to r/startrek) a few times a day. From zero to that, that’s almost like an obsession given that it was only a week’s time. Having learned more about the rating system, I found myself subtly chasing karma points too. Once I realized the value of having my comments voted up, I obsessed over saying things that were interesting and checking back to see how many upvotes I got. I got the same subtle satisfaction I get from being retweeted, so I could see some parallels between posting interesting comments and posting on Twitter. From a motivation standpoint, I’d theorize it’s basically the same. I struggled posting links and starting discussions. In fact I never found something interesting enough to post – and I really was wanting it to be interesting. In spending a week on the subreddits I found a knowledgeable community and felt almost like I had a responsibility to post things that others would enjoy, not just post for the sake of posting. The good news is I think that’s a good way of approaching it. Most of the subreddits I was on only had 5-10 posts per day, so the real transaction on Reddit is in the comments, not the posts. The reason this community works is because people post with restraint and post because of what they think the community would be interested in. That means you really need to spend time on subreddits and get a feel for the culture if you want to be useful. This, incidentally, is something that takes time and will take a lot of prodding in a classroom. I would compare commenting on Reddit to posting on Twitter (straight tweets, not replies or retweets). Post things that are unique and interesting, and your metric for success is the upvote much as the metric for success on Twitter is retweets. The difference is that your non-reply posts are the real social currency on Twitter, whereas on Reddit your contribution to the community is where all the value is. My students have struggled in the past on their blogs for two reasons: it’s hard to generate post ideas, and then connecting it to the larger discussion around their blog topic. In the past I’ve used Twitter and hashtags to open that up. Reddit is a revelation. Scanning subreddits gives you an idea of what people are talking about, and that is blog post gold. Subreddits also give you a platform for distributing your work (without overdoing it) and maybe finding a network of other bloggers who write about the same subject. I am positive that Reddit will become part of my students’ blogging process from here on out. The community is rich. These folks on subreddits are true believers and at times deeply knowledgeable about the topic. I can see how it can be seductive for journalists to trust the community expertise without verifying the information shared in breaking news situations, something that came up in our readings this week about the Boston bombing. The more time I spent on Reddit, the more I could see how my skepticism could melt away. Still, the community is good about asking about links for proof on breaking news. But in teaching Reddit in classes, we need to focus on how to use it as a starting point for research and verification. On GitHub, I have spent some time with it but don’t feel like I have enough handle on it to know exactly where I’m going with it. I love the versioning and forking possibilities that could make collaboration on group assignments more useful. I suspect if I taught coding I would find a lot of use from GitHub. I can see a lot of use possibilities, but nothing specifically for what I do. I do have a crazy idea to try and collaborate on a research paper on GitHub. It doesn’t fall in the areas of traditional use, but I think it’d be interesting to experiment there and I’d learn a lot about GitHub itself too. Earlier this spring I attended the Journalism Interactive conference in Maryland. Amy Webb gave one of her always-great Tech Trends talks. The talk is embedded below but at the end she used the time to challenge journalism professors to go back to summer school and sharpen their skills for the sake of her students. Webb has constructed an eight-week curriculum that goes from June 1 to July 28. The first week is a good week to jump in at the last minute, as it covers digital collaboration – lots of reading and diving in to Reddit. In future weeks, there are books to read, so if you plan to participate you’ll want to get those now if you prefer the printed form. 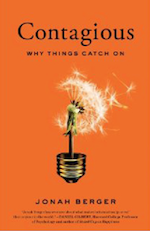 The first book we read (Contagious: Why Things Catch On) comes up in Week 2. In looking over the syllabus, some of these concepts and sites are ones I’m familiar with. It’s impossible to be completely knowledgeable about everything even in my area of the profession, but nonetheless some of the elements of Webb’s syllabus are more basic to me at my current knowledge level. As such, I need to do some things to push myself further than the assignments. For example, in the first week we are to visit Reddit every day. 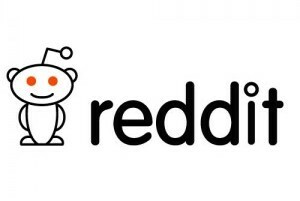 I am a frequent Reddit visitor already so this isn’t much of a chore, so in that week I am going to add on the requirement that I need to comment on at least one story a day (or post a story in a subreddit). I am more of a lurker on Reddit as of now, so this modification will stretch me appropriately. I’m going to reflect and blog on the experience at the end of each week and I encourage each of you to join me whether you’re a professor, a student, or a professional looking to learn more digital. For our Lehigh journalism students …. Some of you have heard we’ll be doing special Maker Hours session every week next semester to work on learning about digital stuff outside of class. We’re going to do a special session tomorrow and Tuesday to kind of test-run it around building a professional web site on WordPress, something all of you will need as you apply for jobs and internships. Prof. Matt Veto and Katie Hommes, one of our graduating seniors, will be up there with me to help. 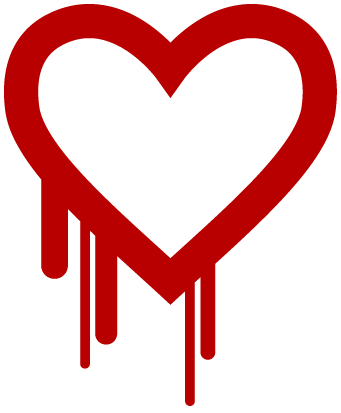 If you’ve been paying attention this week, you’ve heard about the Heartbleed encryption hole that left your sensitive account information exposed on many common websites you use every day. One estimate put the exposure rate at 2/3 of all web servers. It’s hard to remember a bigger Internet security problem in terms of number of people affected. The flaw has been sitting out there for two years until the public became aware, and one estimate says at least 500,000 websites are affected. Mashable has a good guide of common sites that many use and what their exposure is, and CNET has a list of the top 100 trafficked sites and their status. There also are some good sites out there to check individual sites you use to see if they are vulnerable, such as this one from LastPass. Chrome also has an extension called Chromebleed to detect a vulnerable site. So I didn’t do slides for either my teach-a-thon presentation or my Glass journalism session, but I do have things to share. Since we ran out of time in the latter session, this is a link dump and set of embeds for looking at examples. Glass Journalism: Site curated by professors using Glass in journalism classes. We want to host syllabi and assignments, so if you have things to share we will give you ability to post. Just contact me on twitter at @jeremylittau. The link here goes to resource pages of syllabi and assignments from my class. 100 Days Through Glass: Photo-a-Day project we did with my class using Glass. Whoever had Glass on that day in the semester had to take a photo and post it to Tumbr. They kind of ran out of steam at the end but if you scroll back you’ll see some great stuff. J230 Glass Blog: This now has 1.5 semesters of Glass content and reflections. It’s a repository of awesome. Video Examples – the specific assignments are in the Glass Journalism link above. These below are from Phase II or Phase III.